Green Bay Packers | NFL News, as it happens, when it happens. Your one stop shop. Often times, we rush to conclusions after a loss and think Armageddon is coming and how this is going to be a bad year. To remember that so many people didn’t play against Green Bay, especially starters, is key. We have to take it for what it was and go forward. With New Orleans coming up, here are some things to watch for. Jimmy Garrapolo had a decent 2nd half after he settled down and was better. I think he showed more good than bad. He wasn’t helped by his WR corps and offensive line (that in a minute), but he showed poise and made some great throws. He has a lot of work to do, but if he has to play, I’m sure McDaniels will do enough to get him ready. Seeing how he plays against an aggressive blitzing package that Rob Ryan likes to employ should see if he learned from the Packers game. To say that Josh Boyce’s game was a nightmare is an understatement. He seemed disconnected and didn’t fight for any balls. It’s a mild surprise he hasn’t been released yet, but his deep speed might keep him around for a few more weeks. Chris Harper and Jonathan Krause were by far the most impressive WR’s in the game and along with Brandon Gibson, will be vying for that 5th WR spot on the roster behind Edelman, LaFell, Amendola and Dobson. Either way, their presense on the practice squad is almost assured. The offensive line was a sieve, allowing 7 sacks and countless pressures. Moving Chris Barker to LT made little sense as he was consistently dominated. Like Garrapolo’s play, you can’t judge the whole line by its backups. Shaq Mason had a great block on a pull that sprung Jonas Gray’s 55 yard TD run, but he struggled in pass blocking. David Andrews was surprisingly solid at C and G and could be a keeper going forward. I remember when Ryan Wendell was stuck on the inactive list/practice squad for a few years before he was ready to contribute. Andrews could be a similar story. Even with the injuries to Rufus Johnson and Trey Flowers being unknown at this point, their play is indicative of how the defense will be this year. They are taking a similar modus operandi of the Giants and having an incredibly aggressive pass rush to make up for an average secondary. Even though the secondary played very well at times, there is a lot of inexperience there. Knowing that Belichick and Patricia will coach them up eases the worry. The negative of the defense was their run defense, but seeing that Branch and Siliga didn’t play in the middle might be responsible for that. But the missed tackles, especially by Cameron Gordon on the edge was frustrating. Jonathan Freeny had a rough first quarter but seemed to settle down. Seeing how well the DT’s and the LB’s hold up against the new aggressive Saints O Line and running attack could be indicative of how well the Pats can be run on. In spite of all the questions, this defense will be much more aggressive this year than last year and that could be a very good thing. To remember that the preseason are glorified practices is very important. This is the team figuring out roster moves and experimenting with different plays on both sides of the ball. The game showed that the Pats are going to be chippy and aggressive and won’t back down from a fight. With most people signaling the end of the Pats dominance of the AFC East with the moves the Jets, Bills and Dolphins made, this shows that they aren’t going down without a fight. Can the patch work offensive line give Jimmy Garoppolo enough time to throw? How will the rookie class react to their first game on the big stage? 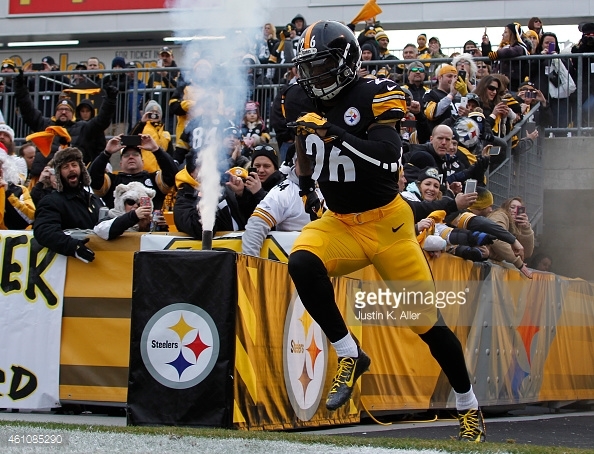 Will guys like Josh Boyce and Tavon Wilson prove they deserve a roster spot? Goalline Gazette will be writing content with analysis at the completion of each quarter. Mike Procopio will be broadcasting live from Nix’s Mate in downtown Boston in conjunction with Frankie Says Relax, MVP, Boston Brothers, JM & ODogg. The Patriots start game action tomorrow in their preseason opener against the Green Bay Packers. Though it’s preseason and it isn’t very likely to see many starters playing and getting significant time, its still better than watching the Red Sox. 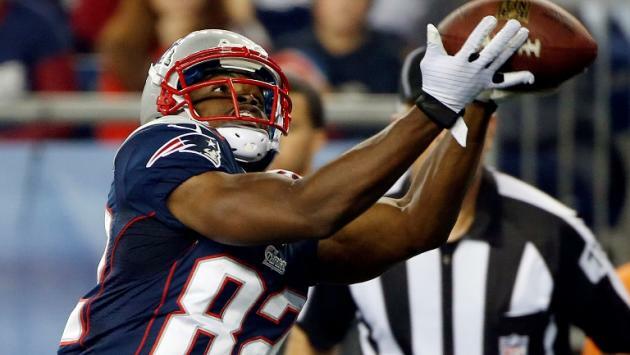 Lets take a look at things to watch for during the Patriots preseason opener. Tom Brady has been receiving all of the first team reps at quarterback before Tuesday when he was preparing for his meeting with Commissioner Roger Goodell and Judge Richard Berman in an attempt to exonerate his four game suspension handed down by the league. With Brady missing yesterdays practice and being in New York today I wouldn’t expect to see Brady in the preseason opener. If Brady does not play I would expect Garoppolo play the whole first half and some of the third quarter before newly signed QB Ryan Lindley sees the field. 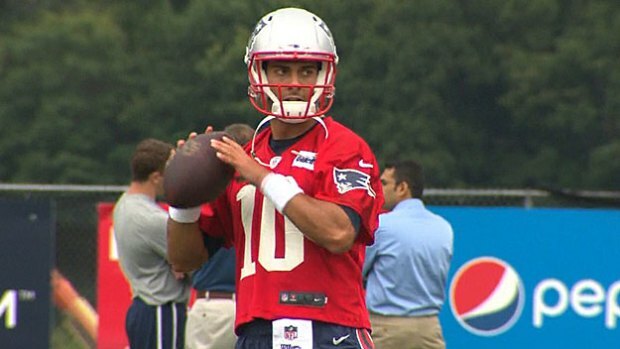 It is important for Garoppolo to get as much playing time and experience that he can during the preseason just incase Brady ends up missing time due to his suspension. Garoppolo also knows the New England playbook with more than a year of studying under his belt, Lindley has about two days under his belt and the Patriots would likely use a lot smaller playbook focused more on the run with Lindley under center. Health has been a big concern for the Patriots early in camp and it will be interesting to see who ends up playing in tomorrow’s game. The Patriots offensive line and wide receivers have been plagued the most by the injury bug with Julian Edelman, Nate Solder, Ryan Wendell, Sebastian Vollmer, Brandon Lafell and Matthew Slater among notable names that have missed time. LaGarrette Blount left last weeks practice with an apparent knee injury but suffered no structural damage to his knee and I wouldn’t expect to see Blount suit up against Green Bay. 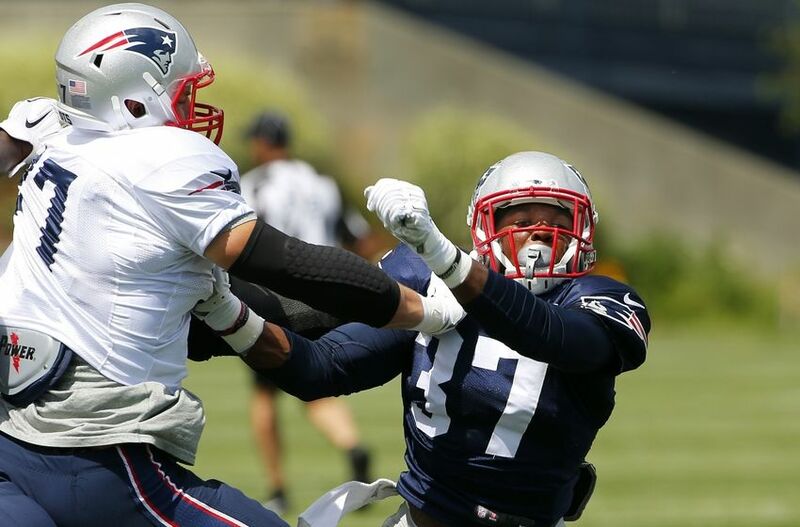 It will also be interesting to see if linebackers Jerod Mayo and Donta Hightower see playing time. Mayo was placed on injured reserve last season after a torn patellar tendon and Hightower an offseason shoulder surgery, have been active in training camp in both contact and non-contact drills but practiced and games are different and the Patriots could choose to hold the linebackers out or limit their playing time. Two guys who have been making a name for themselves so far in training camp have been second round pick Jordan Richards and seventh round pick Darryl Roberts. To be honest I didn’t like the pick of Richards in the second round, I thought he was a good player and was a good fit for the team but thought the team reached for Richards and could have taken him later in the draft and wasn’t even watching the draft in the seventh round when the team drafted Roberts. Throughout offseason mini camps and OTAs Roberts was making plays and getting strong recognition from coaches and media. Richards could only learn the teams playbook and couldn’t participate in OTAs due to Stanford’s late graduation. Once training camp kicked off, Richards made up for his lost time and Roberts continued to shine, both looking like they could be big contributors to the Patriots defense this season. Tomorrow will be the first NFL game action the two see, and though they likely wont be going against Aaron Rodgers or either of the Packers star receivers in Jordy Nelson and Randall Cobb, one thing I will be looking to see is how the two perform in real game action. Last year, a player I was high on during camp and had high hopes for was Malcolm Butler and wrote about it in articles at this time last year, if these guys can contribute and play as well as Butler did his rookie year and continues to do so during camp, the Patriots again may have found a few diamonds in the rough. The only reason I’m not mentioning Butler as someone to watch is I’m not sure how much playing time the Packers receivers and Rodgers will see, I’m confident in Butler against any of the backups, the real test would be him matched up against Nelson or Cobb with Rodgers at quarterback. These are things that I will be watching for when the Patriots take the field tomorrow night. It’s only the preseason but Patriots football is back and that is something we can all be happy about.